Dip Life to the Fullest! 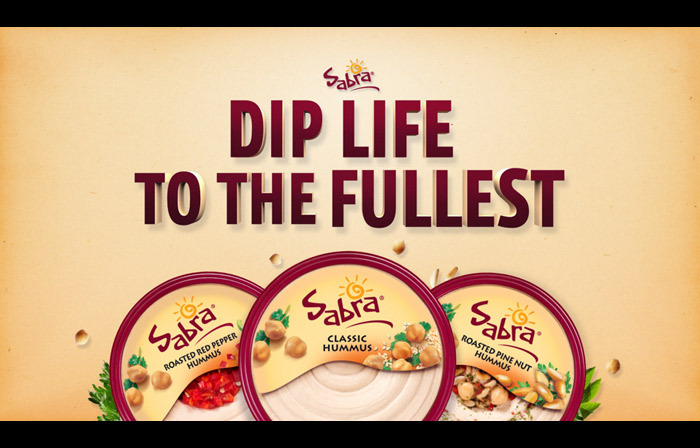 Be on the look out for Sabra Hummus spots airing nationally, they have our endtag animation on them. Pretty simplistic approach but it’s still fun to see these spots airing on TV. In addition to the endtag animation we also did some composting and cleanup work as well as the conform for broadcast. Dip life to the fullest!